STREGA is an intelligent system for the automatic tare reading on LPG cylinder labels, similar to what SINDACO makes for the test date, and is encompassed, together with a third system (SEVERO, in a project for the automation of plants in charge of the management of LPG cylinders. and then proceeds, by means of a manual filler, to introduce the strictly necessary amount of LPG. The whole process is not only aimed at saving LPG, but also (and above all) to avoid overload of the container, which must provide a air-room of 20% in volume, to avoid explosions, that would occur in case of temperature increment (for example, prolonged exposure to the sun). 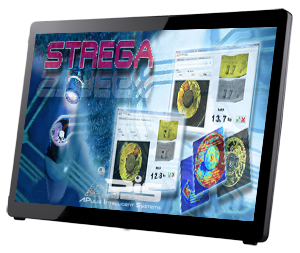 STREGA, automatic reading the tare, allows to completely avoid human intervention, interfacing with an electronic balance and a controlled injector module.